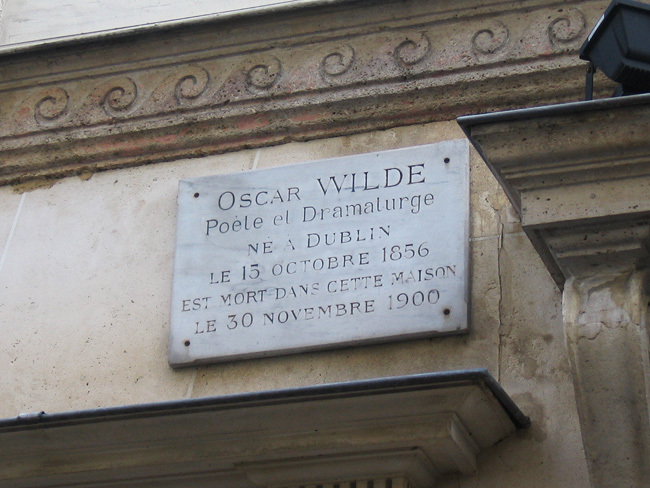 Oscar Wilde's plaque in front of L'Hôtel. 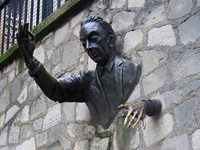 Oscar Wilde's supposed last words are legendary (my favorite version is the simplest: "Either the wallpaper goes, or I do"), but I lived in Paris for years before I ever thought to seek out the location where he may or may not have uttered them. 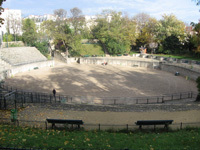 It turns out it's a tiny hotel located on a quiet street on the edge of the lively Saint-Germain-des-Prés area. The hotel is simply called L'Hôtel, and is sometimes referred to redundantly as Hôtel L'Hôtel, although while Wilde was living there during the last years of his life, its name was Hôtel d'Alsace. He died in his hotel room on November 30, 1900 after a long bout with cerebral meningitis, during which he noted his distaste for the decor. 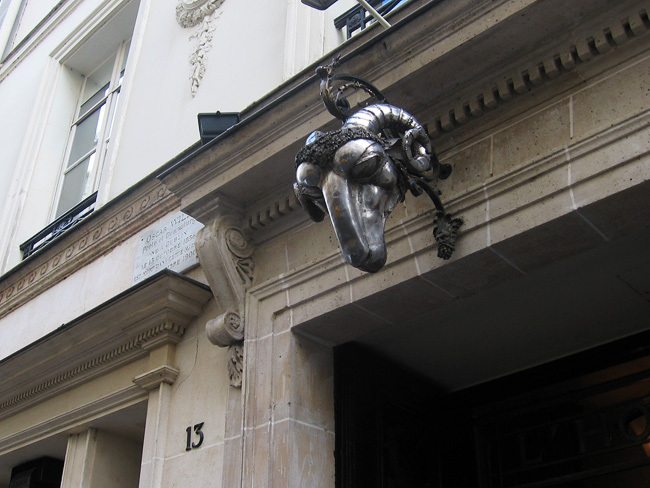 Strange metal ram's head outside L'Hôtel, with Oscar's plaque off to the left. You can bet they've updated the wallpaper, because nowadays L'Hôtel is a luxury hotel with rooms going for over 300 euros a night. If I were a rich man I'd love to inquire about booking Oscar's old digs for an evening or two. There's a small plaque on the wall outside L'Hôtel mentioning that Oscar lived and died here. There's also a similar small plaque mentioning that Argentine writer and poet Jorge Luis Borges lived here for a while too. Of course, Oscar Wilde is buried in Père Lachaise Cemetery, so you should certainly visit his strange and impressive tomb there as well. 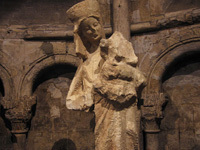 If you're in the neighborhood of L'Hôtel, you're also very close to two delightful sights that are just around the corner: dozens of beautiful Russian nesting dolls in the window of Peterhof, and this unfinished statue of the Virgin Mary, lost for eight centuries and now on display in the Abbey of Saint-Germain-des-Prés. You can easily see all of these things inside half an hour or so!